Made in the Midlands is an industry support group for manufacturing in the Midlands, in all its many guises. The organisation represents and promotes its growing membership of over 400 different companies and has recently introduced the new internal honour of the Ambassador Awards. Turning to EFX to design and manufacture 50 suitably prestigious trophies, the resulting polished steel and acrylic awards were designed and made at EFX’s works near Stratford-upon-Avon and combine creativity with precision-engineering. 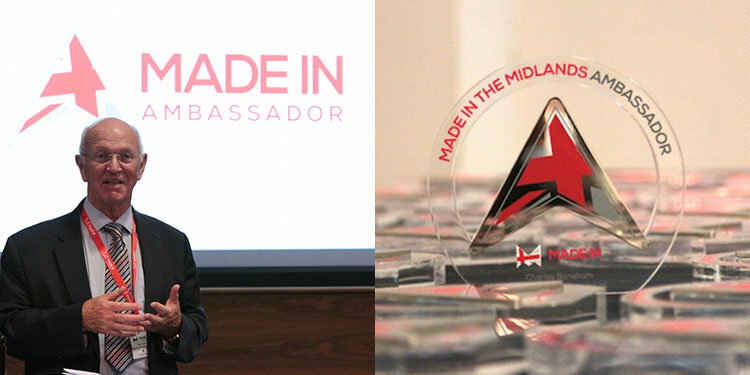 The Awards honour those members who go the extra mile in advocating membership and contributing to the success of Made in the Midlands. The first recipients were officially recognised and presented with their awards on the eve of the Made in the Midlands annual exhibition, which was held at the Ricoh Arena in Coventry, earlier in July. The roll-call of those initial members recognised highlights the wealth of engineering manufacturing in the area and included Roy Taylor at Malthouse Engineering, Steve Shesher of Lake Chemical & Minerals, Tony Sartorius of Alucast and Graham Yeomans of Yeoman Pressings. 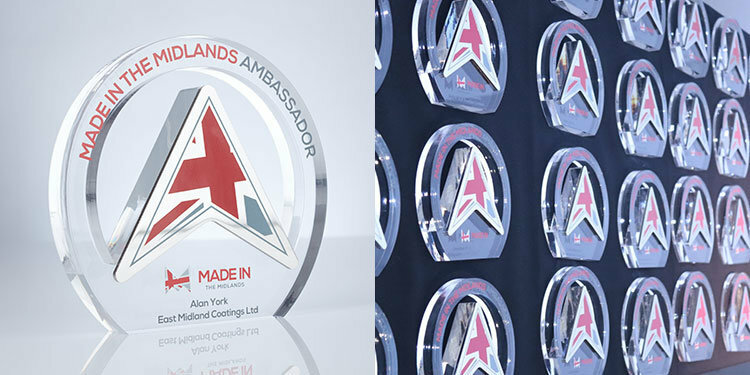 The digitally printed acrylic trophies feature the distinctive Made in the Midlands logo, outlined in polished steel and mounted on the front of the self-standing design.